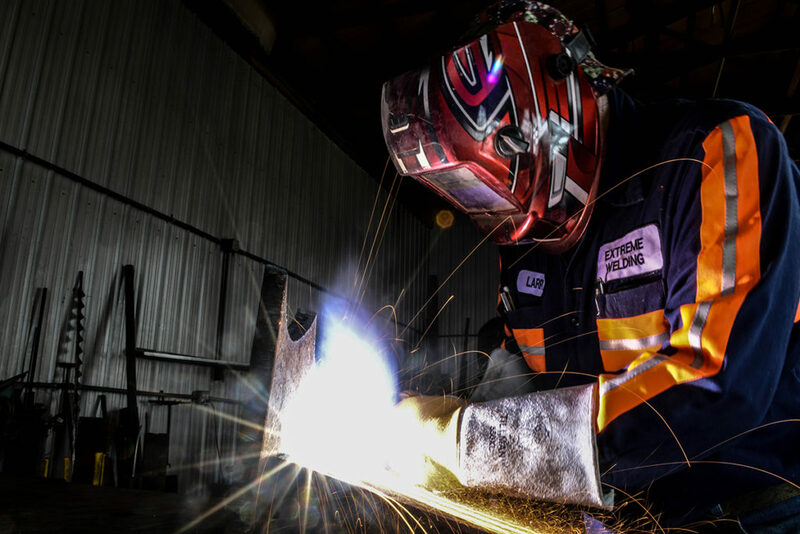 When a heavy equipment breakdown occurs at a mine, on a construction site or on a farm – our Extreme Welding & Machine Services Mobile Welding Team is ready to roll. 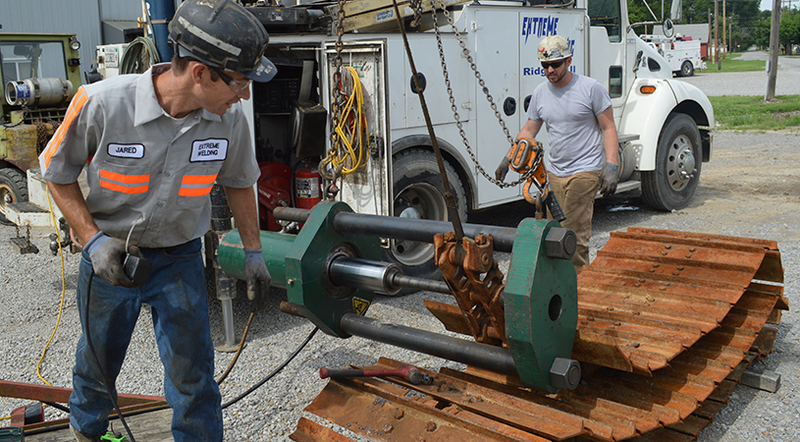 We mobilize fast – always ready and prepared to repair with remote welding, line boring and fabrication service. 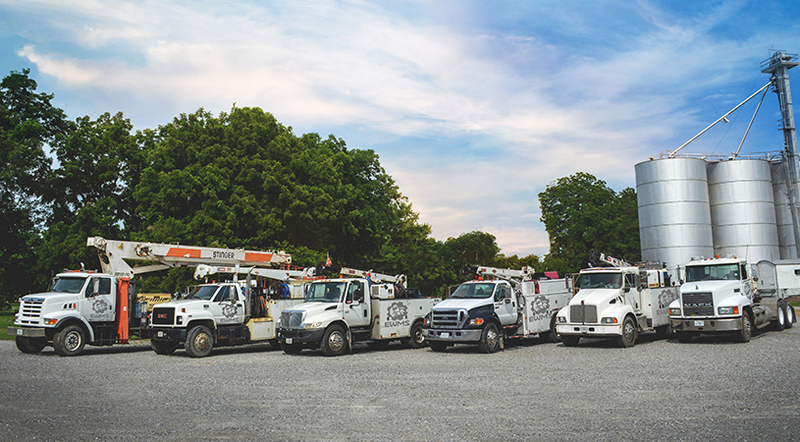 With our EWMS-owned fleet of five mechanics trucks, two digger derrick (boom) trucks, a crane lifter, dozers and a pressure washing truck, the EWMS Mobile Team provides on-site services – 24/7 – you never have to wait for a mechanic or a rental truck to come to you. Having trouble finding a part? We can make it, repair it or find it for you. In the EWMS Fabrication Shop, we bend, cut, bore, roll, drill and mill metal. Our Extreme Welding team offers ARC, MIG and TIG welding, custom metal fabrication and specialized services such as track link repair. From routine maintenance to complex repairs and fabrication, EWMS is skilled to handle both standard and metric sizes. Our welders perform parts repairs to exact factory specifications. We’ll get you back on track! EWMS can return pins and bushings to original specifications with our track press. Our job-site service is supported with an EWMS-owned fleet of trucks and equipment which means we have control of the situation – no waiting for sub-contractors or rental trucks to arrive. 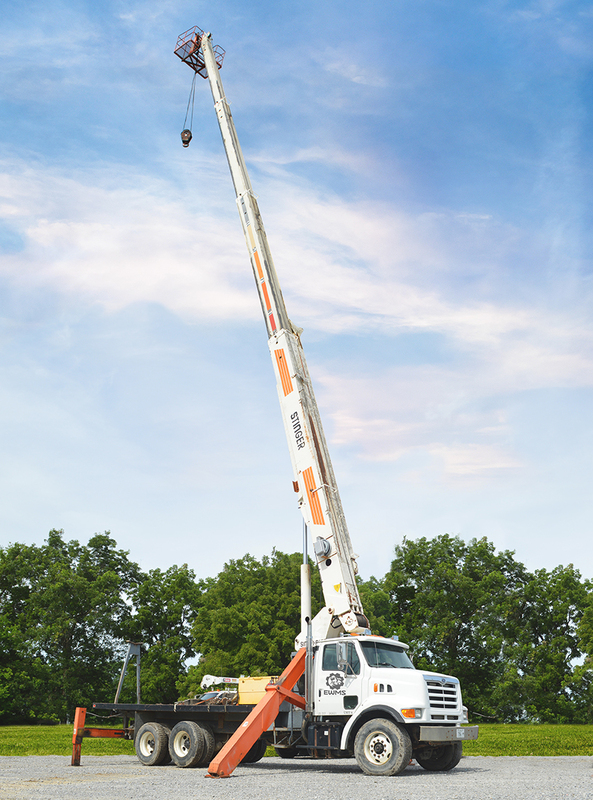 Our EWMS crane can lift up to 48,000 lbs. with a 134 ft. boom reach. 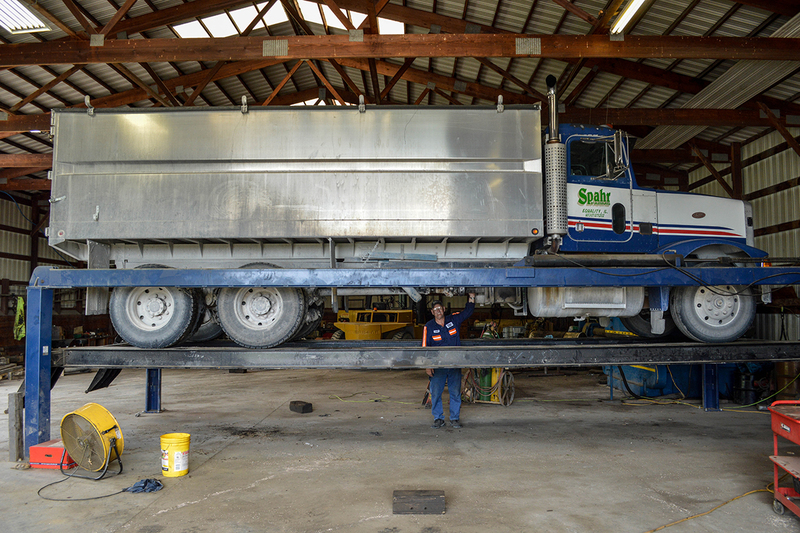 From farm trucks to school buses, our 38 ft. long hydraulic lift can hold up to 35,000 lbs. Extreme Welding & Machine Services (EWMS) provides welding and metal fabrication services on-site and in the shop.